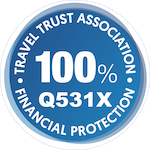 Board your yacht in Bodrum Harbour. 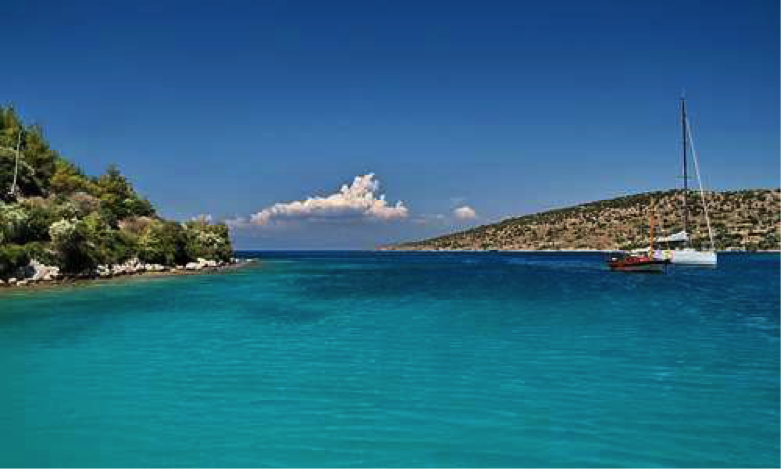 Cruise to Karaada (Black island) for an afternoon of swimming and watersports or stay in Bodrum Harbour for the night. If yours is the latter choice, explore Bodrum Castle, built by the Knights of St. John during the Crusades and now home to the fabulous Museum of Underwater Archaeology. 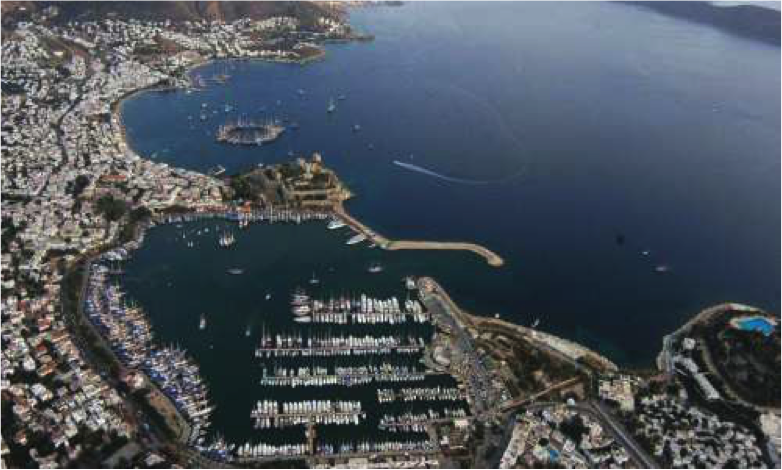 Bodrum is famous for its nightlife, so dine out in style, stroll through the bazaar, visit e café or dance until dawn. 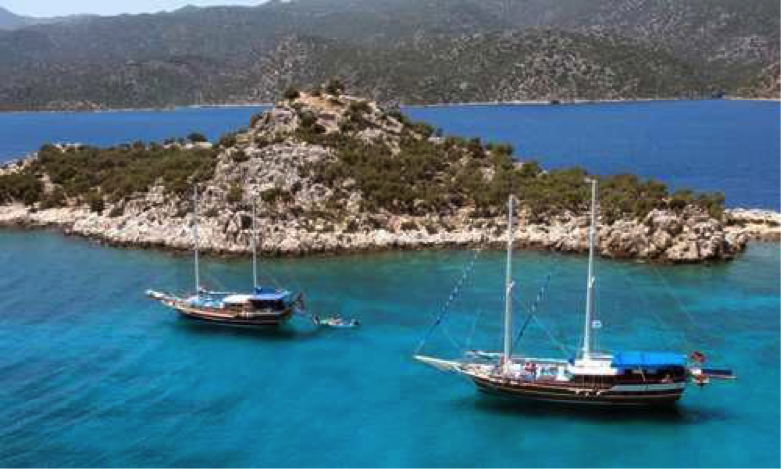 Swim and sunbathe in the morning before taking e relaxing sail across to the Yedi Adalar (Seven lslands). Spend the afternoon enjoying the scenery or try waterskiing, windsurfing and snorkeling in crystal-clear waters. Dine "al fresco" aboard the yacht tonight. SaiI to Löngöz, a quiet little inlet surrounded by pine forest. Meet the friendly locals during a walk ashore. After lunch, sail into Degirmen Buku and drop anchor in "English Harbour, so- named as British torpedo boats used the inlet as their base during the Second World War. Tonight dine ashore in a small restaurant on the eastern side of Degirmen Buku. 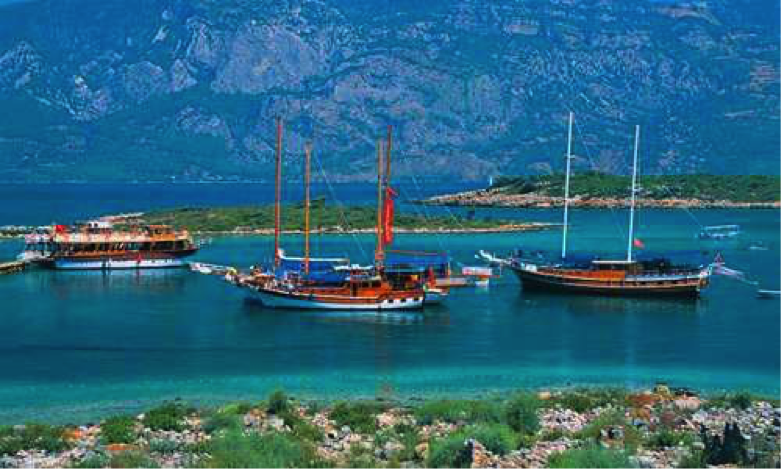 Sailing further down the gulf, stop to explore the three islands known as the "Sehir Adalari (Island City). in ancient times, the settlement on the largest of the islands was known as Cedreae and the fortification walls of the city can still be seen. Among the ruins that are found scattered among the olive groves, are a small theatre, an Apollon temple and a necropolis. On the western side of this island is a beach known as "Cleopatra's Beach, the sand of which was reputedly shipped across from Africa on Cleopatra's orders. 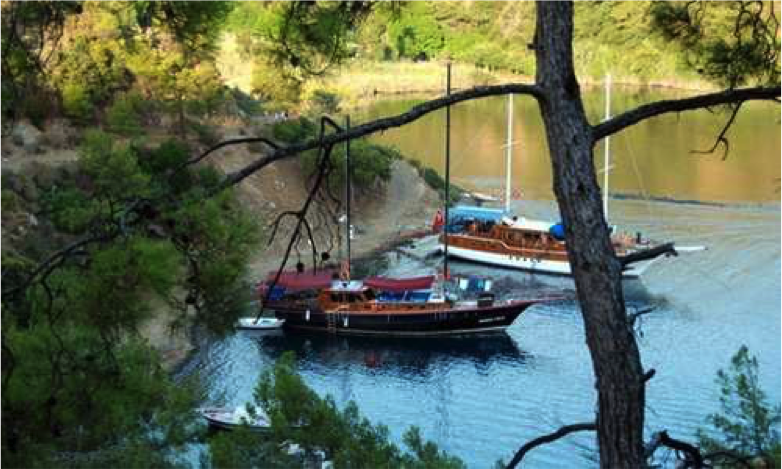 Move on to Karacasogut Limani (Willow Harbour) for the night. A morning of leisurely cruising, making our way back along the coast and into the idyllic anchorage of Kufre. 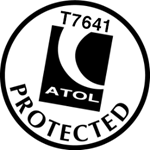 Swim and snorkel here or take a walk ashore through dense pine forest and seek out the fragrant amber tree. This tree, also known as styrax, is found in only e few places in the eastern Mediterranean - and indeed the world. 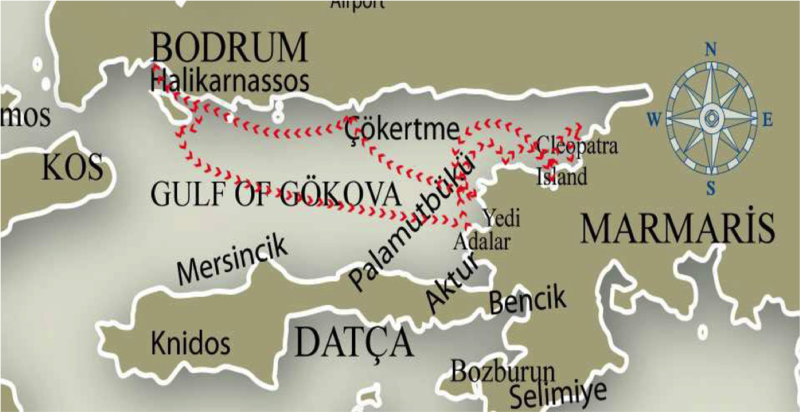 Sail across to Cokertme on the northern side of the Gulf of Gokova. 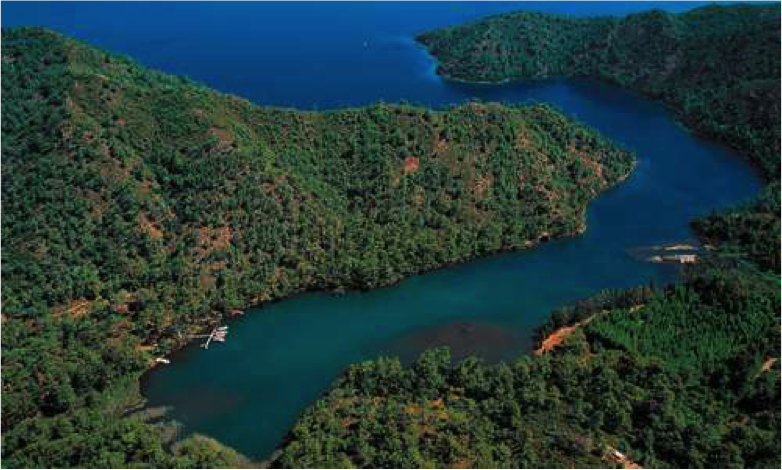 This is e large, sheltered bay backed by steep mountains, creating e beautiful setting for swimming and even walking there are same interesting walks to take ashore through pine forest and olive groves.